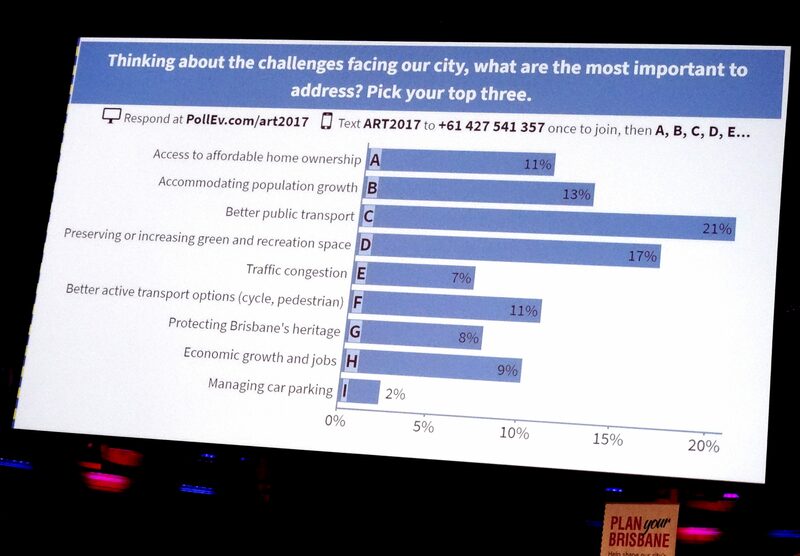 I joined approximately one hundred other Brisbane community members of all ages yesterday, to discuss the future of our city. Hosted by Brisbane City Council the Forum is an interesting and genuine effort to understand how our community wants our city to develop for future generations. Our discussions were informed by a number of presentations by experts in building truly great cities starting with Prof Greg Clark who joined us from London. Prof Clark introduced us to Brisbane as a New World City attaining global reach. Now that is a powerful reason to be proud of our place in the world and optimistic for the future. 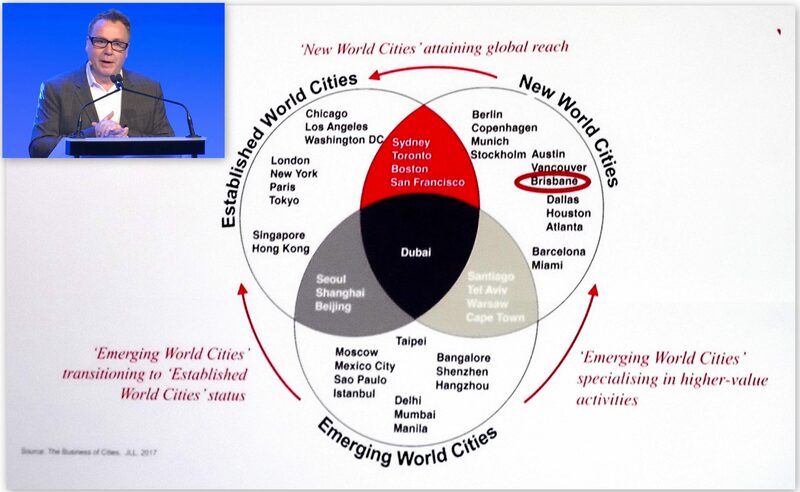 The New World Cities model paints a picture of great opportunities for our city. However, Prof Clark also highlighted the importance of utilising broad based Strategic Planning to develop those opportunities. This highlights the importance of working across multiple jurisdictions like Council working with State Government, not operating in isolated silos. An issue raised by at least on participant at the Forum. The priorities identified by participants aligned closely with the success factors for New World Cities. for example, attractive quality of life, low pollution, congestion and inequality. I was pleased to see that protecting and developing greenspace was consistently given high priority by Forum participants. 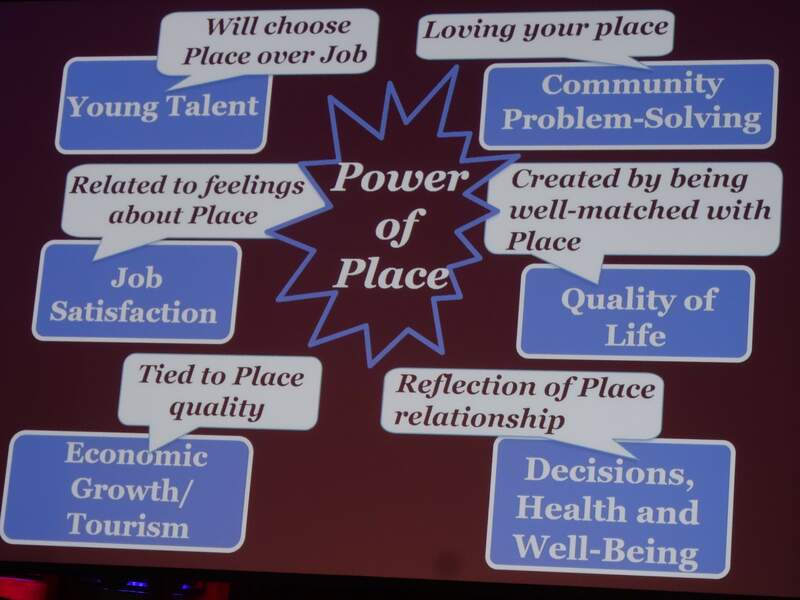 What makes a community a desirable place to live? 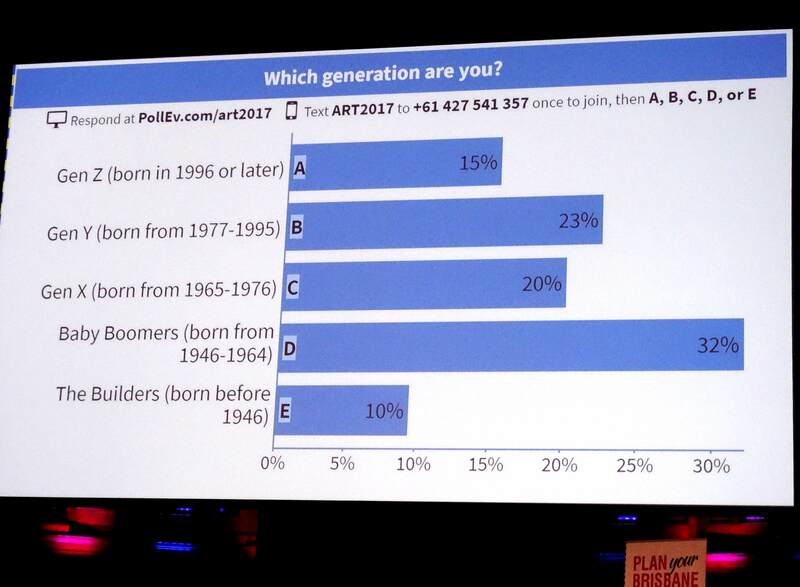 What draws people to stake their future in it? For Dr Loflin, a key factor in growing great cities is optimism. 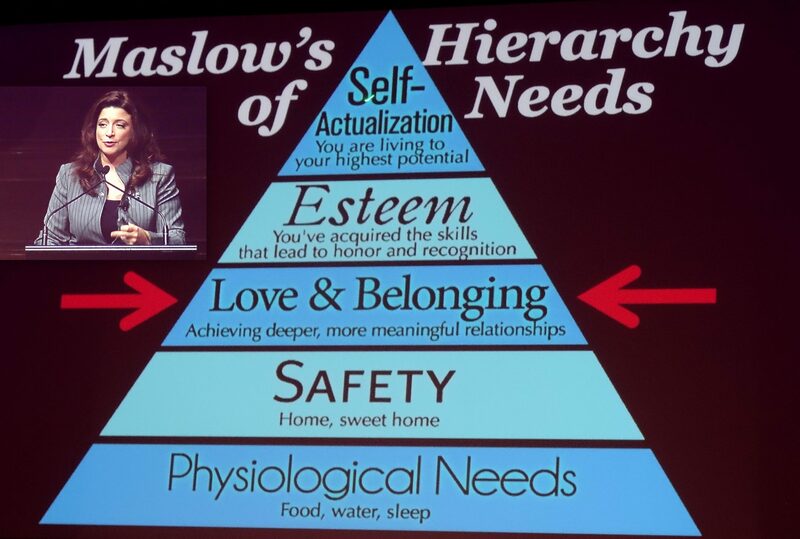 Community Problem-Solving, often complicated by emotional low-trust responses, is an excellent example of how the Power of Place can support an optimistic outlook. If you love the place you live, you will be motivated to actively break through resistance to find solutions. 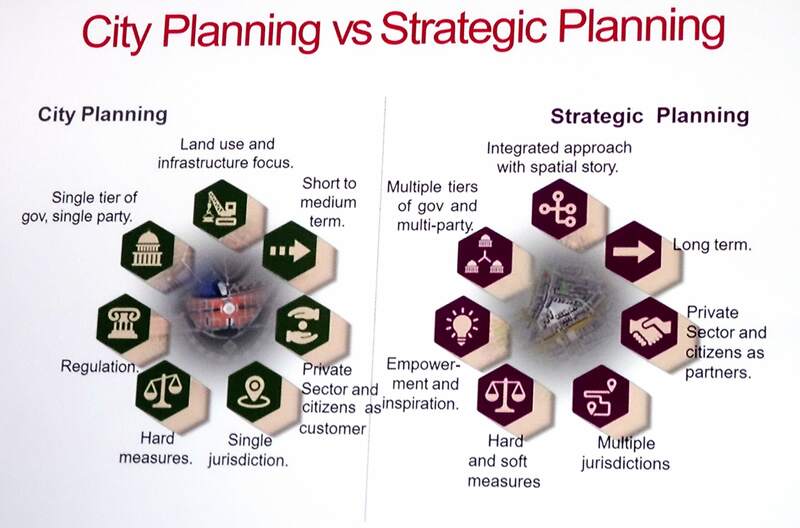 The model suggests that planning with a focus on Place creates a community with stronger economy and quality of life. 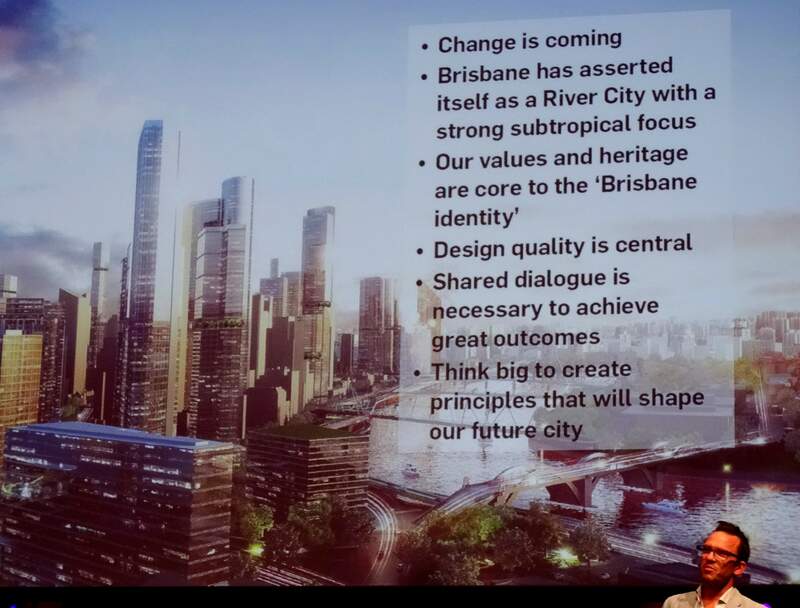 James Tuma, National Director of Design at Urbis, showed how the concept of Place can be applied to our subtropical River City and how it links to our shared values. His focus on design quality based on shared dialogue highlights the importance of Prof Clark’s broad based Strategic Planning. Let’s do it! Kirsty Kelly, Kirsty Kelly Consulting leads the last activity for the day: challenging our groups to think big and present a project that will shape the future of our city. Be part of an extraordinary city changing project to create and register 30,000 Brisbane Pollinator Link gardens providing water, food and shelter for birds, butterflies and bees. 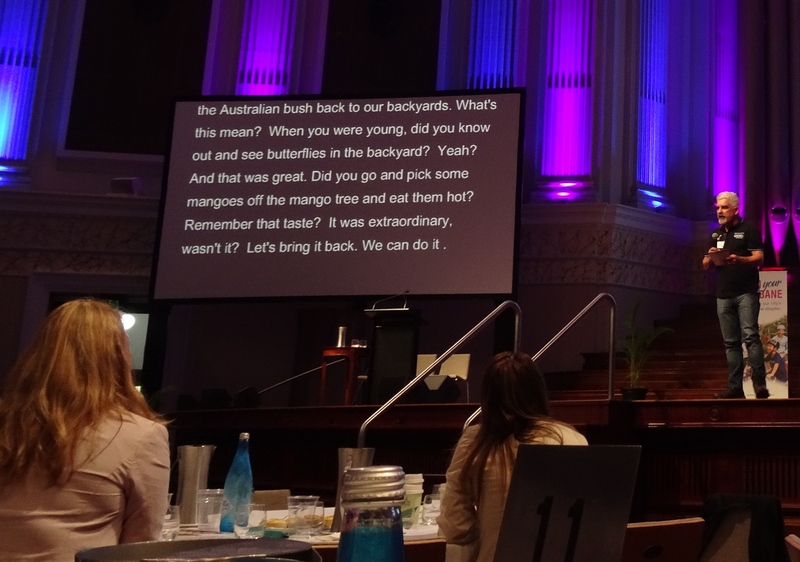 This entry was posted in Pollinator Link and tagged Brisbane City Council (BCC), Dr Katherine Loflin, Globalisation and Competition: The New World of Cities, greenspace, Intergenerational Forum, James Tuma Urbis, Kirsty Kelly Consulting, New World City, Power of Place, Prof Greg Clark. Bookmark the permalink. Thank you for sharing. I often get depressed by evidence of Brisbane and Ipswich City Council allowing developers open slather to destroy habitat on the city fringes… you think there is hope? Rowena (Inala Bushcare). I am more optimistic. The Forum outcomes will feed directly to the planning team professionals. One thing I like about Brisbane City Council is that it is big enough to hire high quality professionals and their professional pride often acts to achieve better outcomes. I also believe in creating hope. Achieving our target of 30,000 Brisbane and 11,000 Logan registered Pollinator Link gardens will give us influence with Council (voters) and developers (potential buyers). Together we can do a lot to create the cities we want.